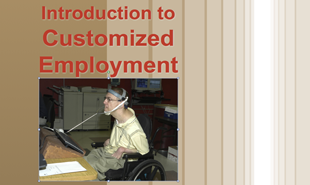 Overview of the key principles of supported employment and how jobs are customized. Provides an overview of the key principles of supported employment and how jobs are customized to each job seeker using career planning, discovery, marketing and job development,and job site support. **NOTE: This is NOT one of our state mandated courses (such as the ones we host for OH, FL, etc. Go to trn-store.com).